Each day a Celebrity Site of the Day is chosen. Not every site can become Celebrity Site of the Day. A site must have something special, for example a good layout, good design, excellent graphics or lots of information to become Celebrity Site of the Day. The selection of your site as Celebrity Site of the Day shows that you have an excellent site worthy of the award "Celebrity Site of the Day". 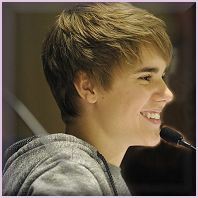 This is a fansite about Justin Bieber. I am in no way related to Justin Bieber or his management. No copyright infringement intended, if you see something on this site that you believe should be removed please contact me first. Do not take our news without asking, sometimes news has been typed up by fans who bought articles or magazines for Beliebers United exclusively, to help us out. Sometimes we got our news by using paid services. Therefore we would like you to ask us when you want to use something, and when you got permission please link back to Beliebers United as source. Sometimes we edited news articles by leaving out, or changing some of the words to make it better readable for our audience.